One major cause for smiles is the fact that we have a new oven. Just a cheapo unit to tide us over til the house move, but the temperature gauge works and it doesn’t leak over 50% of it’s heat directly into the kitchen. 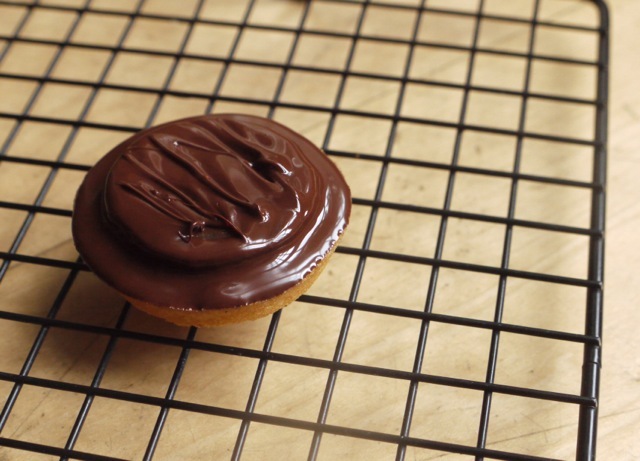 In celebration, I made Jaffa cakes. Recipe’s still in development, so just photos for now. Wishing you all a wonderful week. 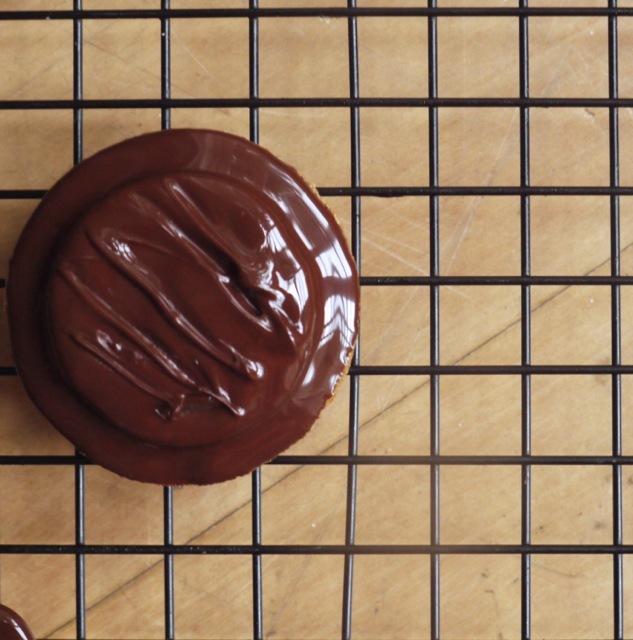 I’m so excited about these jaffa cakes – I can’t wait to see the recipe, they look so amazing. Hurrah for a new oven! 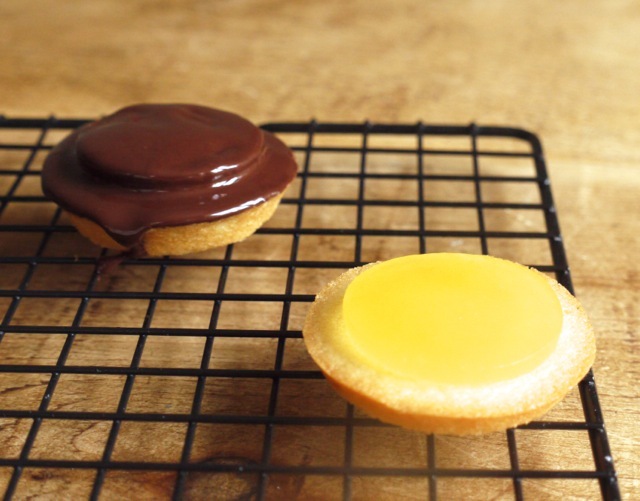 Looking forward to see how you make the orangey jelly bit in the middle – it’s my favourite bit of a jaffa cake! Oooh they look fabulous! I can’t wait for the recipe. I’m buzzing with anticipation. I must admit I’m with Helen, the intensely orange-y bit in the middle is the best part, I’ve never found or made a convincing substitute. Problem is if I learn, I’ll end up eating it with a spoon, and forgetting the rest of the jaffa cake! Thanks Em! 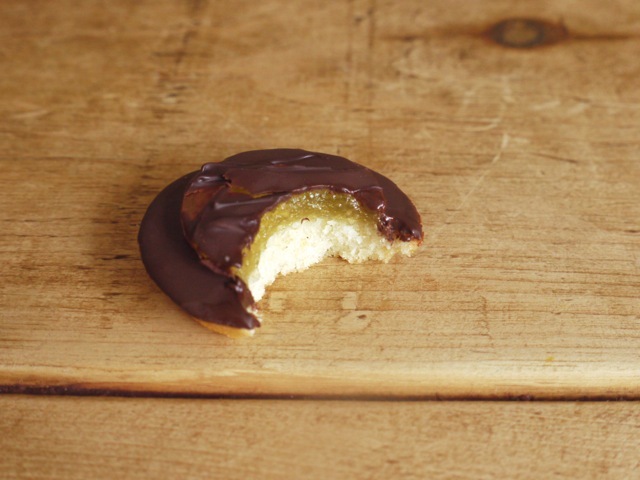 The filling is so good, as is the base – I always find real Jaffa Cake bases a little bit too dry. I find that too! How else are they to keep the jaffas at 1g of fat per cake?! Cardboard, thats how, delicious cardboard. 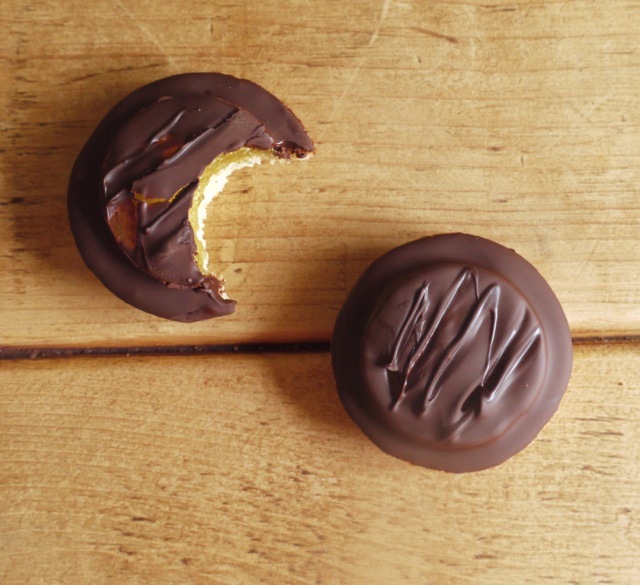 Absolutely love jaffa cakes! can’t wait for a recipe! This looks and sounds very interesting, can’t wait for the recipe. Good luck with all your new changes. Look forward to the recipe! We need a new oven too, the light in the oven has gone. Forever. sigh..
Haha, I promise the recipe will come soon! Did you ever have a chance to finish / post your recipe? The pics make it look yummy!